The Karst landform is the most important features in Anshun of Guizhou. The ecological environ-ment in Anshun with the “congenital defect” of widespread Karst landform characterized by steep slope and soil barren had become more and more deteriorated by the unreasonable human activity. The Karst environment often shows its ecological vulnerability because it is highly susceptible to be interfered by external factors, so the development of the animal husbandry, especially goats breeding industry is affected seriously. We discussed how to develop the goat breeding industry in the Karst regions of Anshun and put forward some suggestions to supply the reference for animal husbandry workers and farmer in this paper. 李晋, 熊康. 我国喀斯特地区水土流失研究进展[J]. 土壤通报, 2012, 43(4): 1001-1006. 熊康宁, 胡顺光. 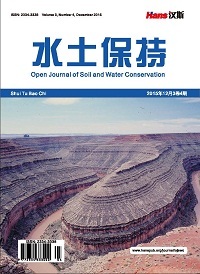 贵州喀斯特地区水土流失研究进展[J]. 贵州师范大学学报(自然科学版), 2011, 2(4): 106-110. 杨世凡, 安裕伦. 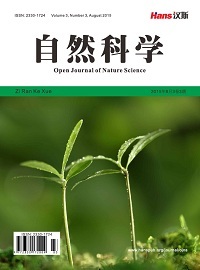 生态恢复背景下喀斯特地区植被覆盖的时空变化——以黔中地区为例[J]. 地球与环境, 2014, 42(3): 404-412. 张晖. 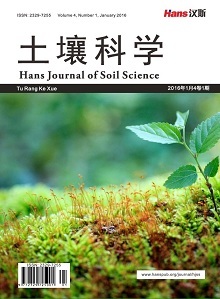 喀斯特石漠化治理增汇型种植与低碳型养殖模式与示范[D]: [硕士学位论文]. 贵阳: 贵州师范大学, 2014. 张俞, 熊康宁, 张锦华, 王元素, 池永宽. 贵州白山羊对４种牧草的消化及其对石漠化治理的启示[J]. 中国畜牧兽医, 2015, 42(7): 1724-1731. 马贤惠. 贵州喀斯特地区生态境与经济发展的重要问题——关于贵州生态农业发展与建设的思考[J]. 贵州环保科技, 2000, 6(1): 11-15. 陈文发. 纳雍“岩洞养羊”模式推[J]. 中国畜牧业, 2015(3): 54-56.